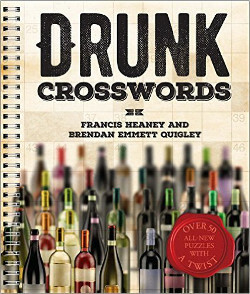 Crossword Puzzles by Brendan Emmett Quigley: CROSSWORD #1004: Worst. Puzzle. Ever. CROSSWORD #1004: Worst. Puzzle. Ever. Somebody left the heat on last night (and we won't mention any names, thank you, don't we know it's rude to point fingers. Okay fine, I blew it. Happy? ), and let me tell you, I had a pretty miserable night's sleep. I'm going to pay for this transgression, oh boy am I ever. Woke up dehydrated, and water isn't helping. Could be the start of a pretty rough day. Worst day ever? Probably not. 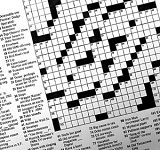 What this has to do with today's crossword is anybody's guess, too.